The University of Notre Dame will host a regional final of the Siemens Competition in Math, Science and Technology, the nation’s premier science research competition for high school students, Friday and Saturday (Nov. 8 and 9). The New Jersey-based nonprofit Siemens Foundation created the competition to enhance science and mathematics education in America. It is open to individuals and teams of high school students who develop independent research projects in the physical or biological sciences or mathematics. Competitions in six regions across the United States are being held throughout November. Regional scholarship winners advance to the national competition Dec. 6 through Dec. 10 in Washington, D.C., for a top individual prize of $100,000. Members of the top winning team will share a $100,000 scholarship. 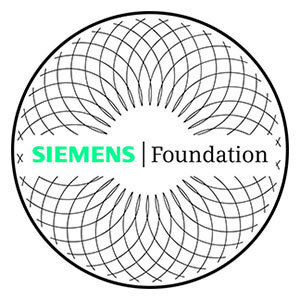 The Siemens Foundation has partnered with six of America’s leading research universities to assist in judging and hosting the regional competitions throughout the fall: the Massachusetts Institute of Technology and the Georgia Institute of Technology (Nov. 1-2), the University of Texas and Notre Dame (Nov. 8-9) and the California Institute of Technology and Carnegie Mellon University (Nov. 15-16). The public can view student posters at 5:30 p.m. Friday (Nov. 8) in the reading room on the first floor of the Jordan Hall of Science. The Siemens Competition in Math, Science and Technology is a program of the Siemens Foundation, a national leader in math and science education providing nearly $2 million in scholarships and awards annually. The competition is administered by the College Board. Originally published by William G. Gilroy at news.nd.edu on November 06, 2013.